Is the Partylite Consultant Opportunity Right for You? Established in 1973 by Mabel Baker, Partylite Consultant is one of the largest names in home party direct sales companies. This company is all about helping you find your signature, at home and in life!! The brand is famed for its remarkable and platinum quality collection of home fragrance and accessories. PartyLite is known worldwide for its beautifully scented, clean burning candles. And, PartyLite offers a variety of crowd-pleasing flameless fragrance too – scent melts, smart scent stick diffusers and room sprays. There are also multiple wax forms to choose from for enjoying fragrance throw throughout your entire home! With over 60,000 consultants around the world and product collection that exceeds 100 items, PartyLite has achieved great success in aspiring entrepreneurs, especially women to start their own careers and businesses in the industry. 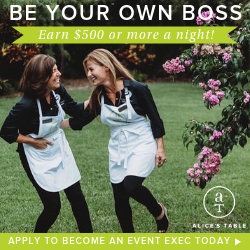 With both in-person party and online sales opportunities, consultants of PartyLite have amazing earning potential. You can even leverage special members and fundraising programs to further boost sales. When you become a consultant of PartyLite, you gain the opportunity of earning up to 38% commission. The income opportunity is limitless. You decide how much you want to earn. Plus, you can easily and quickly move up in income and stature and management positions. It's all about your goals. There are three ways you can get your business started with PartyLite Consultant: either hold a Starter Party with $350 in sales for receiving a consultant kit for free or purchase a Starter Kit for $99. This kit will contain many products for you to sell. These may include warmers, different designs of candleholders, and candles of varying scents and designs. Not Known. Please consider referring to an active consultant. One of the best things about joining PartyLite as a consultant is the ability to earn generous bonuses. Every consultant has the opportunity to earn an extra 7% monthly bonus. To encourage repeat purchases from customers PartyLite offers a Preferred Members Program. This allows customers to buy items from PartyLite parties and online at 15% off. Preferred Members also receive advance notice of new items. The best part: your customers can sign up for free. PartyLite also offers an enticing Hostess program. Hosts can avail as much as 80% discounts on monthly specials. PartyLite offers hosts the most in free, specials and 1/2 price items. PartyLite loves to pamper its hosts. All product rewards are issued in a timely manner. And commissions are sent to consultants on a weekly basis for all products sold. This allows you to enjoy a good monthly pay for part-time hours and the ability to set your own schedule.